PECAN - a large storm study on the Great Plains. MISS was part of a large fleet of mobile instrument systems, along with aircraft and fixed sites studying night-time elevated convective storms. BASECAMP - two educational deployments at St. Cloud State University in Minnesota. DC3 - the Deep Convective Clouds and Chemistry study of thunder storms on the Great Plains. MISS was one of the ground based facilities making dynamical observations and was positioned on the Colorado plains, while aircraft flew in and out of storms making chemistry measurements. 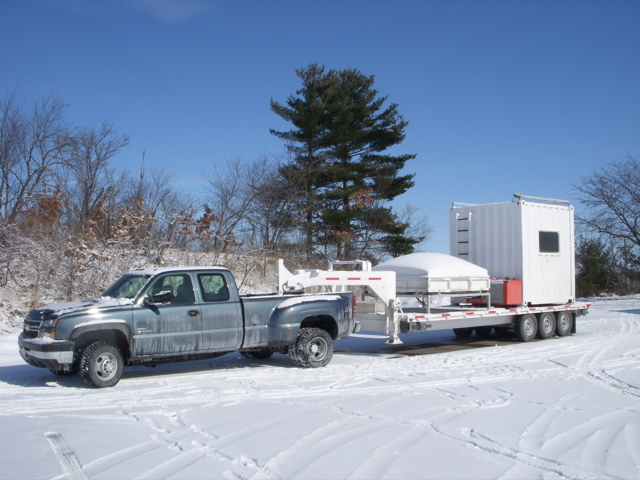 Our mobile facilities are currently being updated with the development of a Mobile 449 MHz wind profiler system.